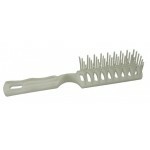 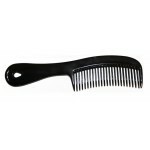 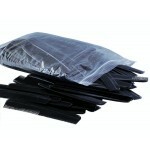 5" Black combperfect for hygiene kitsmade of plastic5" inchesmen's best friendCase of 2160..
6.5" Comb w/ Handle $0.10 Each. 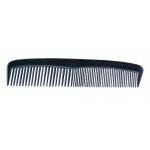 6.5" Black Comb with HandleVery nice handle6.5" inchesPlasticCase of 720..
8.5" Comb with handle.Black Plastic8.5" inchesStrong frame Case of 432..
Standard bristlesIndividually wrappedCase of 288..
Professional Beauty Line Hair Brush.Case of 240..
A very nice hairbrush made out of durable plastic. 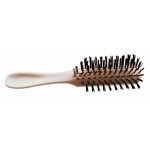 Bristle are strong and tip are colored for that f..